The Ripple-soled boot has enjoyed popularity for many years and this is one of the original models. 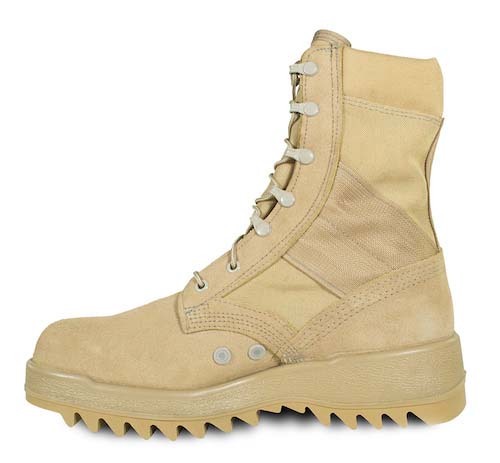 Ours features the upper design of the current, standard issue Hot Weather boot and is made in Desert Tan suede and 1000 denier genuine Cordura. 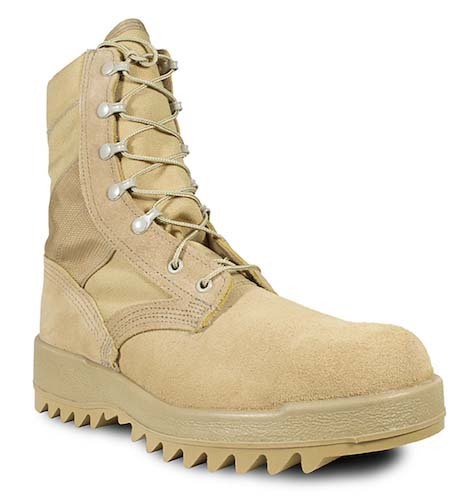 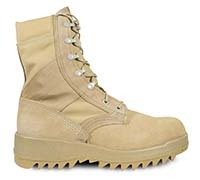 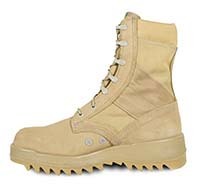 This boot offers the user excellent durability and comfort (especially for marching). 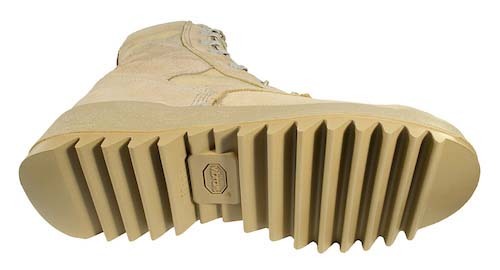 Made with state-of-the-art direct attach midsole/outsole construction featuring the original sole made by Vibram which provides the end user extraordinary shock absorption and stability. This boot meets AR670-1 and is Berry Amendment compliant.